El Mayimbe continues to drop little nuggets of details from the upcoming Suicide Squad script. this time he brought a bit of news about possibly the most anticipated comic book character debut since Iron Man in 2008. Sky-rocketing actor Margot Robbie is set to play Dr. Harley Quinzell, aka Harley Quinn, in the upcoming Magnificent Seven-style actioner from DC Entertainment and Warner Bros.
Harley Quinn is said to have a few looks throughout the film, including her traditional look from the animated series as a reference to prison attire, and in one sequence where they infiltrate a club she swears a dress, according to the Latino-Review reporter. 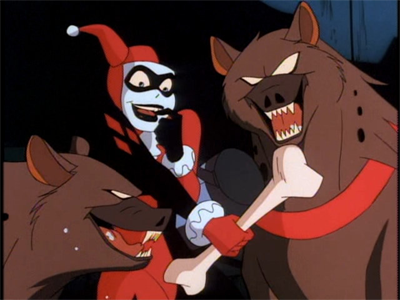 The biggest get in the leak is that there will be a scene or reference to the couple’s pet hyenas, who were frequent companions in the comics. We will get a first look at Harley Quinn in Suicide Squad on August 5, 2016.